The CS 36 MERLIN, while having similar dimensions to the CS 36 TRADITIONAL, is a completely different design. 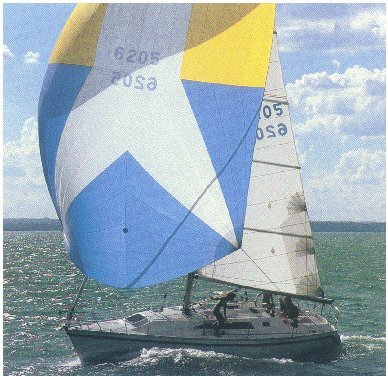 While it was being produced a purchaser had five pages of options to choose from— a Kevlar or fibreglass hull; a swim platform or regular transom; a 28 hp diesel or a 43 hp turbo; a tall or regular rig and by the end, four keel configurations (shoal, wing, deep and performance bulb). As a result, other than the 20 or so that went into charter, no two Merlins are alike. Contruction standards were high. The hull was hand-laid fibreglass or Kevlar with balsa core above the water and both hull and deck were vacuum bagged.